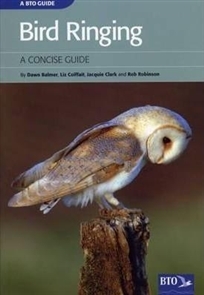 2009 sees the celebration of 100 years of bird ringing in Britain and Ireland, and this guide highlights some of the major achievements of the Scheme over that time. People have always been fascinated by the movements of birds, whether they be seasonal comings and goings of migrants, or local movements of our own breeding birds. Ringing has long been the best tool to answer many of these questions, from the first bird ringed (a Lapwing) in Aberdeen in 1909. Since then, over 35 million birds have been ringed by trained and licensed BTO volunteers, from seabirds on remote Scottish islands, to common-or-garden birds caught at standardised ringing sites. "Bird Ringing" is an ideal training tool for ringers, explaining how and why we ring birds. It contains numerous examples of how ringing has contributed to conservation science and research, and how it helps us understand population changes by providing information on survival and recruitment. The guide is also a great introduction to bird ringing for non-ringers, not only highlighting the Scheme's successes, but also explaining why we still need to keep ringing today. Full of facts and figures, you can find out about some of the Scheme's record-breakers: which bird lives to over 50 years old? Which bird has travelled the furthest, found 18,000 km from home? How old is our oldest Blackbird? Which bird was found in the stomach of a crocodile in The Gambia? Which group of three birds ringed in Cambridgeshire were found together later the same day, 350 km away in France?